17-years old, American-born violinist Karen Jang is currently a student at the Manhattan School of Music (MSM) Pre-College Division where she studies with Bela Horvath. 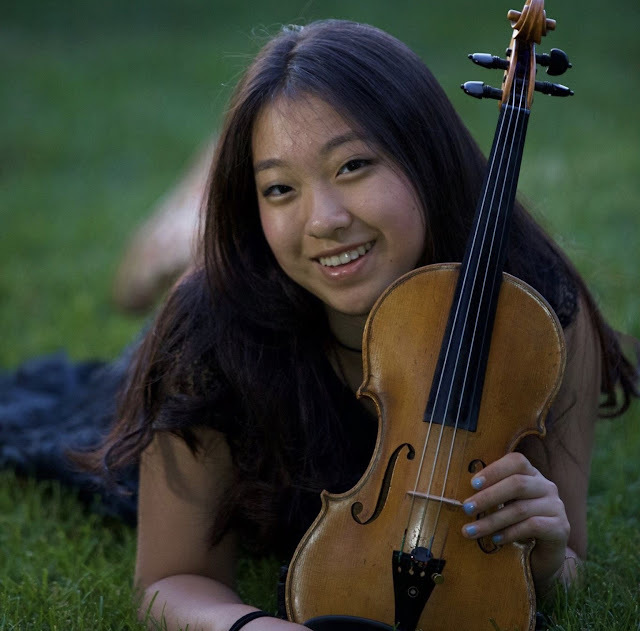 Additionally, for 9 years, Karen has studied with Taiwanese violinist, violist, and erhuist Wei-Yang Andy Lin. She has gotten special recognition in many competitions including 2nd place at the 2018 Prima Volta Competition, Honorable Mention at the 2018 International Virtuoso Competition, 2nd place at the 2017 New Rising Star Competition, and semi-finalist in the 2017 Washington Heights Chamber Orchestra Young Artists Competition. At the Manhattan School of Music Pre-College Division, she has served as principal second violinist in MSM’s Repertory Orchestra (2015-2016) and associate principal second violinist in MSM’s Symphony Orchestra (2017-2018). At the Horace Mann School, where she is in the eleventh grade, she served as associate concertmistress and associate principal second violinist (2017-2018) under conductor and music director, Nathan Hetherington, at the school’s advanced string ensemble, Sinfonietta. In the summer of 2017, Karen had her solo debut at the Weill-Recital Hall of Carnegie Hall playing Wieniawski’s Scherzo-Tarantelle and also had a performance at the Queens Botanical Garden for a large, public audience. In the fall of 2017, she performed at the second annual gala of the New Asia Chamber Music Society (NACMS) at Riverside Church, along with prominent violinist Cho-Liang Lin. In the summer of 2014 and 2015, she attended the 4 Strings Music Festival (4SMF) and in the summer of 2018, she will be attending the Boston University Tanglewood Institute (BUTI) of Music. Her next prominent performances include a solo recital at the Weill-Recital Hall of Carnegie Hall in summer 2018 where she’ll play the Schumann Violin Sonata No. 1 and a performance in Vienna, Austria at the Central International Music Academy. When she’s not playing the violin, she enjoys figure skating, reading scientific literature, and spending time with her family and friends. She also likes to spend time with the patients at NYP Columbia where she volunteers weekly.